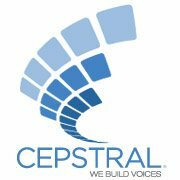 Cepstral Community • View topic - Try to save new lexicon entry, but "access is denied"
Try to save new lexicon entry, but "access is denied"
I am the admin, and there is only one user on this Windows PC. I tried to enter in a single homemade lexicon entry so that the Callie voice will pronounce someone's name correctly, but when I try to save the entry, I get a windows telling me "access is denied", and I can't save it. I am using the demo version of Swift Talker and the Callie voice. Is that why I can't save anything? Or something else? Re: Try to save new lexicon entry, but "access is denied"
So this does not sound like a Cepstral issue, but rather a Windows permission issue. If you are indeed an Administrator, I would verify that if you look at the properties of the lexicon file, it is not marked as a read only file. Secondly, could you post the exact error message you are receiving when trying to save the lexicon file? And lastly, what program are you using to edit the file? Notepad?